No matter you are running a brilliant blog or a business website, you may have some PDF files to provide the best value to your audience. In that case, you need to pick the excellent option of opening those files for your visitors to read them online. Using one of the best WordPress PDF viewer plugins is the super solution of presenting your visitors the possibility of reading PDF documents on your WordPress website. Suppose, you are involved with an education website whether it is a school, college or university, even a coaching center, you will have many educational resources for your students. Most of the resources you need to upload will be in PDF format. To create the comfortability for your students, you must bring the backend functionality on your website to read those documents easily. The easiest way of avoiding this complexity to create this function on a WordPress website is to install & setting up a PDF viewer plugin. But, picking the perfect one is not so easy as you think because of the vast collection of PDF reader plugins on the web. That’s why we have collected & compiled almost all the plugins so that you know their features, compare with each other & choose the best one for your website. To embed PDF files in a WordPress website, PDF Embedder is a unique plugin with the ease of its setting. It works like the way you add images on your site without encountering any problem. What you need is only to install this powerful plugin, upload the PDF files you want & straightly embed those files into your website. Presenting your PDF files in front of your visitors will be pleasing for you with this plugin. Using some technologies, Flowpaper develops your PDF documents & presents on your website in a way that is very favorable for your users. Keeping in mind the most possibilities, this one of the best PDF viewer plugins is built for viewing PDF files on a WordPress website so that the users can undergo the easy way of reading them. You can effortlessly embed any PDF brochure, magazine, flipbook, even a catalog into your website with this secure to use the plugin. With a single shortcode, Flowpaper lets you embed a PDF file on your WordPress website. By using your media file, you can upload PDFs & replace the URL to present it excellently. But, the problem you will face is that the limitation of uploading large files. It currently supports only 15 MB files. If you have bigger files to upload, you can use its cloud service that is available with its premium version. When you have massive files to upload & view but need to make them light, you can think of WordPress PDF Light Viewer Plugin. It is particularly significant to give your audience the best & smoothest way to survey your PDF documents & read with eye-comfort. With thumbnail navigation, you can expose all of your PDF documents as flipbooks or magazines. Your files will have the navigation, zoom & some other areas like fullscreen button. Without facing any performance issue, you can upload the unlimited PDF file, import bulk files & create the option of downloading them easily. All the post & pages with PDF files will be responsive, fast-loading & very friendly for your users. This plugin supports dashboard flipbook preview, lazy loading, separate PDF page, per page downloading in PDF & JPEG. With the facility of using a wide range of files types, Google Doc Embedder is one of the greatest PDF viewer plugins for WordPress website. This online office tool does not only support inline viewing but also let your visitors download them in different formats. Including PDF, it supports spreadsheet, Adobe Acrobat, Adobe Photoshop, Adobe Illustrator, Microsoft Word, Microsoft Excel, PowerPoint, etc. Though this PDF viewer plugin also supports Office XML, you may face a problem with the 2007 version. So, the developer suggests to test your documents & use Office 2003. Excluding this problem, going with Google doc Embedder will be great for you to embed your PDF & other files into your WordPress website. WonderPlugin PDF Embed is a responsive WordPress PDF viewer plugin that works by using Mozilla’s PDF.js. By using a short cord provided by the plugin, you can easily embed & display your PDF files on your website. It offers light popup box to open the PDF documents, beautiful buttons to download & print. But, those options are only available with the premium version. This WordPress PDF viewer plugin allows you to fix the width & height of your PDF files in pixel or percentage. But, you are recommended to use percentage for the best result in responsive. There is some guidance you have to follow for using WonderPlugin PDF Embed. As, you must host your files on the same domain, create absolute URLs & make sure your URLs will not have special characters. To manage your digital document on your WordPress website, you can also pull this plugin. Gravity PDF is a great plugin that enables you to personalize your PDF files for your readers. It will solve your PDF presentation problem with its four highly-customizable PDF templates which you can use to give your users a great experience. To generating your PDFs, this plugin does not utilize any third-party APIs. Gravity PDF lets you control your documents, generate PDFs & e-mail to your subscribers. If you want your users to pay you before downloading any PDF books, magazine or any file, you can use payment add-ons like Stripe, PayPal, etc. As the name suggests, it is indeed a straightforward plugin for viewing PDF files on a WordPress website. It works together with Google Document Viewer which lets you insert PDF documents to any post or page of your site. When you install this plugin, it will create a button on your WP editor & you can pick a PDF file to upload by using your Media. The pro version of Simple PDF Viewer will allow you to add external links, files from media files, even other types of documents like .ppt, .xml, etc. PDF documents are usually uploaded on a website to expand the interactivity of it. If you want to create interactive books, booklets, brochures, cards or magazine for your readers, you can think of this one of the beautiful WordPress PDF viewer plugins. As a flipping book, Interactive 3D FlipBook lets you create the wide range of possibilities for you. It supports PDF links & highlighters, allows realistic view, performs page flipping animation, etc. ARI Fancy Lightbox is mobile friendly, highly customizable & multiple plugins supported. You will be not only able to display your PDFs with this plugin but also show several types of contents like Google maps links, Metacafe services, photos & videos on your website. As the name suggests, it lets you use lightbox for any type of contents you want to display on your WordPress website. Furthermore, you can present your PDF content in full-screen mode and has the option to display PDFs in slideshow mode. Furthermore, you can present your PDF content in full-screen mode and has the option to view PDFs in slideshow mode, and this is not the end. Perhaps, this plugin has more valuable features available with the premium version. If you want to convert your word files into PDF, PDF Image Generator can be one of the best WordPress PDF viewer plugins for you. When you will upload a PDF document to your WordPress website, this plugin automatically generate a cover page by converting it to JPEG. Also, it will also attach the cover page as a post thumbnail file which will allow displaying a thumbnail icon. By using a simple shortcode provided by Radeet pdf Embed, you can embed & display a PDF file to your post on its own inline. But, you must consider that it will not work on other websites if you upload the PDF file there. So, you must upload your PDF documents on the media library of a site where you want to display them. It offers you multiple options to choose for size, format & links. While it comes to download the embedded PDF files, the browser doesn’t allow to download at the loading of the page. Indeed, for security reason, some user doesn’t allow the plugin to display all the PDFs coming from the other sites which are not trustable. With shortcode generator & 3D FlipBook categories, Unreal FlipBook got one of the best position in PDF viewer plugins in WordPress. As a flipping book, it will enable you to browse PDFs, images, even HTML which will lighten your workload & make you comfortable. By using this responsive & easy to use plugin, you can demonstrate all types of books & journal like the magazine, booklets, etc. When you are willing to create a browsable flipbook that will be enjoyed by your readers, you need edelpaper. It is an electronic publishing service that allows you to develop not only flipbook but also interactive magazine for your audience to open online. The main focus of this one of the best PDF viewer plugins is to convert your PDF files to online flipbooks. You can display those PDF books, magazines or brochures on a single post or a page, even on your WordPress sidebar. The great news is that to publish your flipbook, will get two free permalinks. If you want to add more, you have to buy with credits. Having a rich-feature plugin like iPages Flipbook PDF Viewer will help you to represent your documents on your website digitally. Creating HTML5 flipbooks, as well as media books, are as easy as you want with this lightweight PDF viewer plugin. Converting any static PDF files into an interactive catalog or online magazine is flawlessly done with a simple shortcode that will appear on your dashboard after installing & activating this powerful plugin. E2Pdf is supremely well-known for viewing & printing dynamic PDF documents and one of the best WordPress PDF viewer plugins. It is specially coded & developed for a small insurance company so that it can increase its business and produce more profit. 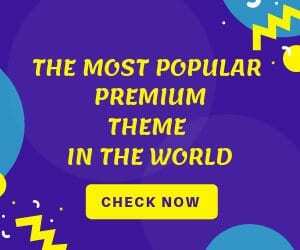 But, the entire WordPress community can use this responsive & useful plugin for any type of website as the plugin comes with several extensions. A website owner does not need to know any coding or programming to handle this plugin as it originates a simple shortcode that works fine. Along with PDF documents, one can create & edit PDF forms without using any third party PDF editor. Though it can automatically generate PDFs, you can manually create & add text, image, forms, etc. It is the great opportunity of using actions & conditions, merge web forms & form fields to create dynamic PDFs. 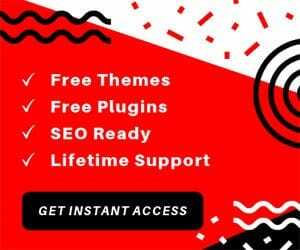 With a lot of advanced features you need, this plugin is an excellent PDF generator for both posts & pages of your website. You can also allow your users to create PDF of posts but can limit their accessibility by using the advanced options of the plugin. It supports custom fonts, extracts link, bullet style, stretching & spacing, watermark text, header logo & much more. This WordPress PDF viewer plugin helps you to reduce the server load by generating PDF from the cache. Moreover, it will automatically schedule the cache backup if your site doesn’t update periodically. Also, it lets you feel free for your PDF content and title, as it automatically adds post style and title for your PDF. Though this is the last WordPress PDF viewer plugin I have added to this list, you can consider it as a simple, easy to use, responsive & perfect PDF tool for your website. It allows adding PDF button & fonts, configuring PDF header & footer, including custom post types & logo. The most important part of this plugin is that it allows you to copy the plugin templates in your WordPress theme. Any Other PDF Viewer Plugin for WordPress? Now, we have the best PDF viewer plugins in our stock( maybe you have more) from this post. If you find my listed plugins helpful in any way, please, feel free to share your experience. Also, you can bookmark this list for your future references. Indeed, if you find more updated plugins, please give me a shout on the comment section. I will add it to my list.